It was an emotional goodbye for the Green Dragon team as they waved goodbye to the thousands of well wishers who lined the docks in Galway. “I can only say thank you from all of us for such a wonderful two weeks,” commented an emotional Ian Walker on the dock. Galway Girl belted out from the speakers and the crowd sang along as the home team untied the lines and headed out of the dock gates. Conditions on the water built and soon a strong 20 knot breeze filled the bay. Green Dragon blasted out of the blocks for the start of Leg 8 from Galway to Ireland, the home team relished the 20 – 25 gusty conditions as they got stuck into the downwind start. The seven boat fleet went off like rockets with their big spinnakers flying pulling away from a large flotilla of boats that had come out to send the fleet off. These were the strongest conditions that the race has seen yet for a start, and it was Green Dragon who led the fleet round the first mark, followed by Ericsson 4 and Telefonica Blue. The fleet then headed back upwind for another 2 miles towards the finall mark, Ericsson 4 sneaked in front of Ian Walker and his crew pushing the Dragon to second, followed by Telefonica Blue, PUMA and Telefónica Black. Ericsson 3 and Delta Lloyd followed further behind playing catch up to the rest of the fleet. The big sails came out once again and the Volvo 70’s sprinted off towards the Aran Islands. The fleet will then head south along the west coast of Ireland, before passing the famous Fastnet Rock and then onto the English Channel. This leg although a sprint at just over 1200 miles, will not be easy. There are tidal gates, headlands, shipping and other obstacles the fleet will have to negotiate along the way. 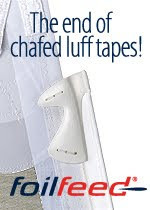 It will be tiring for the crew who will be forced to tack and gybe their way towards Marstrand in Sweden. 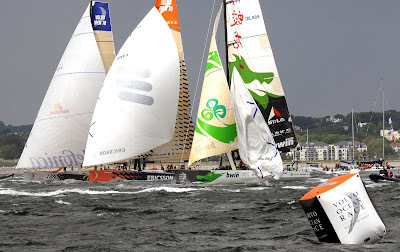 Once past the English Channel the course will see the fleet head into the North Sea, where they will race around a loop set off the Hook of Holland before heading to the finish, they are currently expected in Marstrand on the 11th June. Update from onboard – Skipper Ian Walker When I saw the welcome we received on arriving in Galway I was speechless but when we left 2 weeks later it was with tears in my eyes. 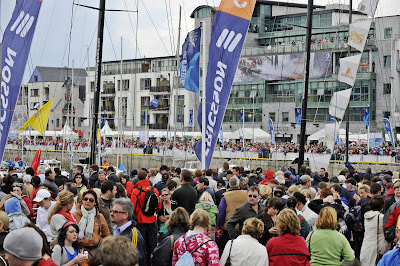 I knew Galway was a great city and a city that loves to party but never in my wildest dreams did I think Galway and Ireland would take so much to the Volvo Ocean Race. I can only say thank you from all of us for such a wonderful 2 weeks. The harsh reality of the Volvo Ocean race is that no sooner do we get comfortable and enjoy a town then it is time to leave. By now we are used to the drill. It was a spectacular start and thanks to some good crewwork we had the thrill of leading at the first mark. I really think downwind starts should be encouraged at every stopover as it allows the spectators to see the boats in all their glory. There were once again hundreds of spectator boats and a ‘cup final’ atmosphere on the water. What fantatsic memories we have of Galway Bay and I look forward to returning soon. Thank you Ireland, thank you Galway.